The London Library has managed to remain self–financing throughout its history, thanks to the recognition by generous men and women of the important role the Library plays in the world of letters and literary culture. With the help of Lord Michael Astor, Sir Michael Stewart, Lewis Golden, Judy Firth Sanger and Andrew Cavendish, 11th Duke of Devonshire, the International Friends of The London Library was created almost 40 years ago to foster US interest in The London Library. 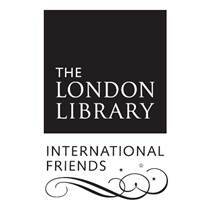 Administered from New York under a volunteer Board of Directors, the International Friends of The London Library is a registered 501(c) 3 charitable corporation. Donations made to it by U.S. taxpayers are fully deductible under the United States Internal Revenue Code (view our IRS form here). Gifts may be directed towards particular areas of the Library’s work, such as preservation, acquisitions or building renovation, and there are a variety of options for the recognition of benefactors within the Library.